People love movies because they allow you to have a rest from reality. Movies take us to places we’ve never been and inside the skin of people quite different from ourselves. 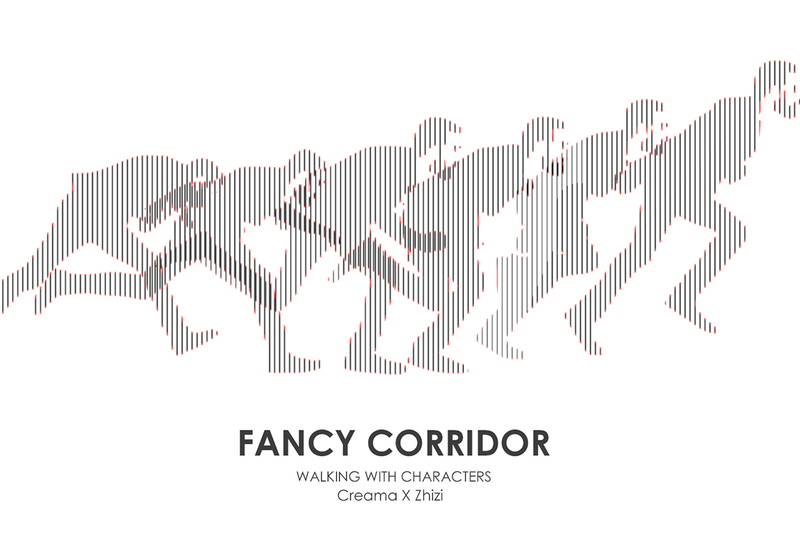 Fancy Corridor helps people naturally enter to the movie world of fantacy. It allows you to walk and interact with all those interesting characters from the movie. They will accompany you all the way entering their movie world. Scanimation is an animation medium. 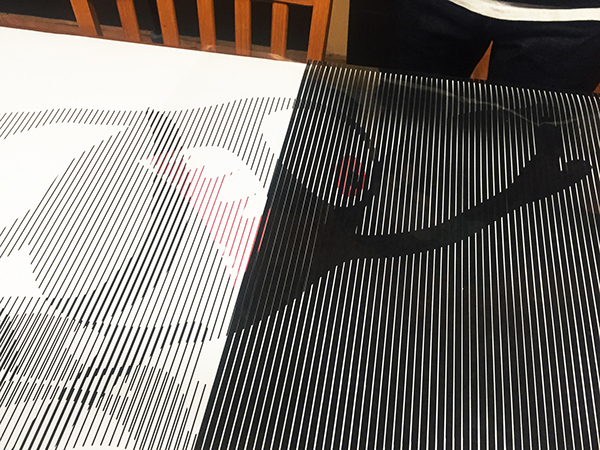 Visual artist Gianni A. Sarcone describes them as using elements of the Moiré pattern and thezoetrope (one of the precursors of film animation). 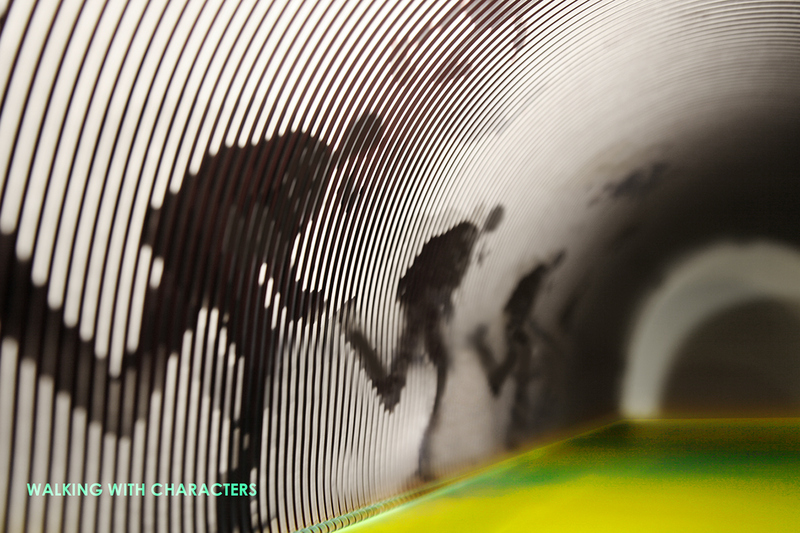 The resulting animated sequence appears similar to that of the zoetrope by producing an illusion of movement. It works by placing an acetate overlay containing vertical stripes over a specially prepared image and slowly moved from right to left. Corridor design for Dolby Cinema. People love movies because they allow you to have a rest from reality. Movies take us to places we’ve never been and inside the skin of people quite different from ourselves. 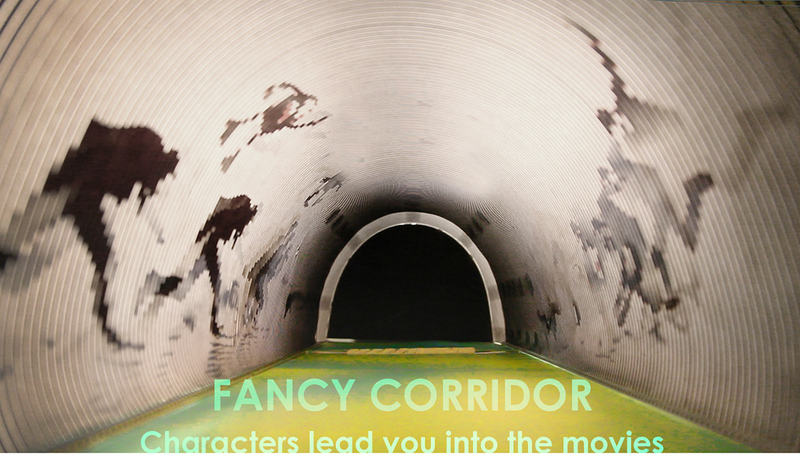 Fancy Corridor, using scanimation and holographic technique, helps people naturally enter to the movie world of fantasy. It allows you to walk and interact with all those interesting characters from the movie. They will accompany you all the way entering their movie world.